TexasBob Juarez is an alternative rock act based in London, whose jangly and thunderous beats shudder your spine and waken your senses. Along with the space drones and telescopic beams, Juarez orbits from a distant star, whilst emitting infrared light. Through his vocal wailing and instrumental prowess, Juarez surfs-rock his garage, industrial waves alongside The Pixies and Husker Du, creating a 90s nostalgia, dipping into the hazy ebb and flow of contemporary psych bands such as Night Beats and Dead Rabbits. 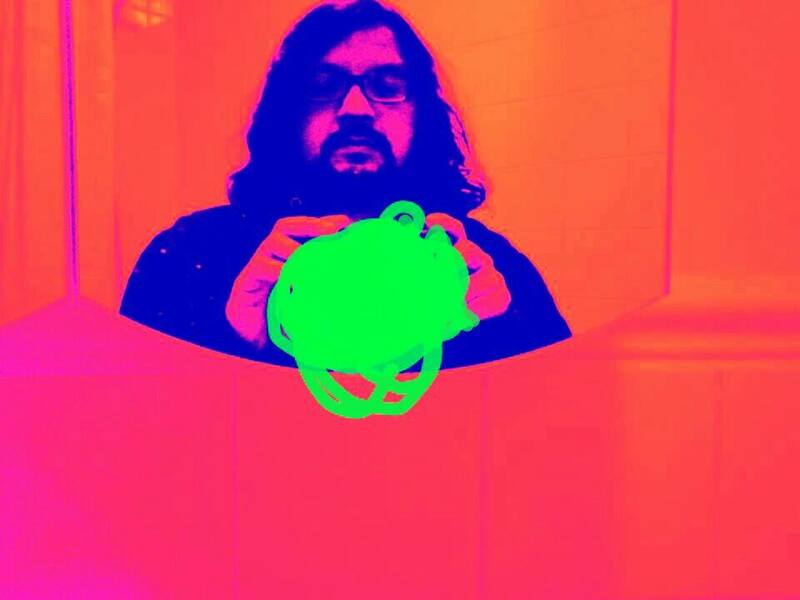 A solo act, Juarez is real talent, a multi-instrumentalist, whose raw live performances have seen him support acts such as MGMT and Adam Ant across the globe as well as performing for Alan McGee at Creation Records. A true artist, Jurez is adept at combining good old-fashioned rock with the ethos of punk, under a kaleidoscopic sky. Lyrically accomplished, Juarez provides a glimpse of his psychedelic soul, amongst the rainbows and the thunderstorms. Through the extended instrumental tracks such as “Magick Your Smile ”, Jurarez shimmers against the eerie drones and aloof Francis-Black-esque vocals. Like a happy-go-lucky, hazy walk in the park, whilst taking a melancholic excursion into a thrilling faraway land. Again with “Stockholm”, like “Magick Your Smile”, it’s through the extended instrumental interludes that you instantly grasp the high calibre of Jurarez’s musicianship and his ingenious skill of creating an atmospheric and abstract narration, without an influx of lyrics. They are sheer quality, whose tinny, tinkering and jangly riffs are side-saddled by quivering trickles of rumbling and crashing beats. Texas Bob Jurarez are an amazing act that transcends a restless spontaneity, where light and darkness, simultaneously intertwine. Songs such as “Survive”, with stripped down acoustics, invite us to Jurarez’s intimate soul and whose melancholy is encapsulated through the sorrowful lyrics and discord strumming. Not an artist to stick to one beaten track,”Rainbow-Girl” catapults Jurarez into his punk roots with a formidable force. A grunge-punk catharsis, “Rainbow Girl” is a firebrand song whose lovelorn lyrics are delivered with sheer grit and adrenaline fuelled angst. Through its up-tempo beats, “Rainbow Girl” kick-starts with Joy Division-esque industrial claps, whilst moving to the edge of darkness, with its raw vocals and murky, dirty riffs. Again with “Hamburg Skies“, re-enacts melancholy as a life force, whose bustle of riffs jangle and reverberate against the sentimental lyrics and pulsating bass and rumbling beats. Along with the swaying harmonies and piercing chorus, “Hamburg Skies” creates a wistful euphoria that trembles in woe and sorrow. It’s a deceptively catchy song, a propulsive clatter of melodic hooks, drones and guitar dexterity that wears its heart on its surviving sleeve. Likewise with “Stephanie Under the Deep Blue Sea”, Juarez shows us yet again what a true aficionado he is, whose exhilarating musical spirit pulls out at all the stops. It’s an amazing song, whose impassioned vocals bellow against the thrashing and plucky riffs. Along with its prisms of electronica, “Stephanie Under the Deep Blue Sea” provides translucent undertones to its bluesy swagger and pensive lyrics. It’s an emotionally driven burst of energy that sweeps you along to a heartfelt underworld utopia, building sandcastles in the sky and crashing by the waves of guitar dexterity. TexasBob Juarez’s album “On a Distant Shore” is out later this year . For any updates and further news, please “like” his facebook page.